Looking for and buying the right home is, more often than not, a challenge on its own. From house inspections to installing security systems in your home, you will need to put a lot of time and effort into your home to ensure that it is just the way you want it to be. Accessories that people often overlook when renovating their house are security shutters, thinking that they are not useful. On the contrary, security rollshutters can be a very integral part of your home and offer a variety of different benefits; the most important being security. A rollshutter system is comprised of metal slats that are closed and kept under pressure. Security shutters are most often seen on the exterior of shops and businesses to keep it secure when they close. While aluminum rollshutters are more commonly used for commercial purposes, they are also becoming immensely popular among homeowners in the Caribbean. The main reason for this immense surge in popularity is because of the security that they provide. With the help of a quality rollshutter system, you can ensure that no one will be able to enter your home. 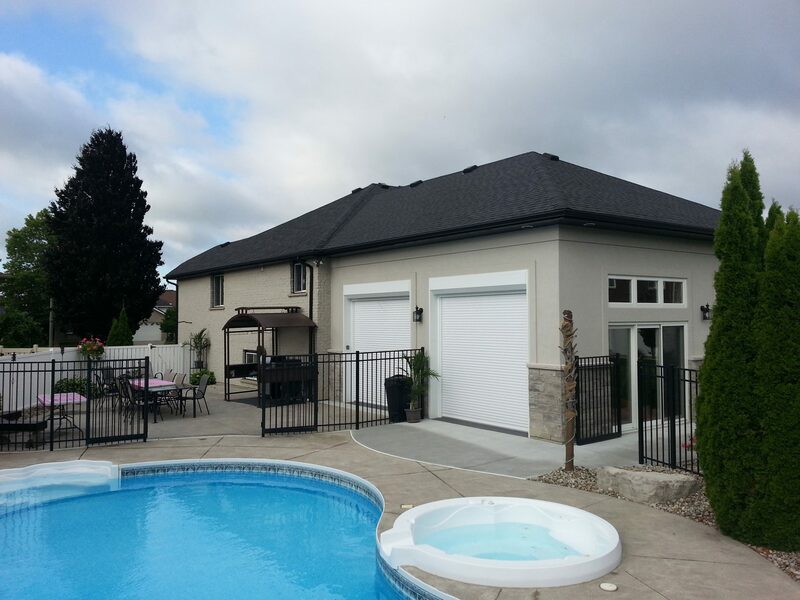 Thanks to the use of aluminum, which is light and strong, rollshutters are incredibly durable and come with various features that will ensure that your house remains safe at all times. Rolling shutters are more commonly placed on windows and doors to keep burglars from entering your premises. Both manual and motorized roll shutters are made of aluminum and a dense polyurethane core. That being said, the materials used in different rollshutter systems change depending on the brand and of course, price. More expensive rollshutters are more durable and less likely to malfunction; they also have applications through which you can control them like remote controls, and sun sensors. Unlike security alarms that sound when someone is on the premises, the mere presence of rollshutters actively deter criminal elements from even trying. Another benefit of using roller shutters is that at the push of a button you can easily retract our security shutters, removing from sight when they aren’t needed. Rollshutters are gaining in popularity when it comes to home security. Although a home alarm is also a very important security measure for your home, nothing beats a quality rollshutter system for both security and hurricane protection. With the increasing rate of gun violence in the country, rollshutters are an investment that every home owner in the Caribbean can make to ensure their safety.